Kids love to play in the water. Camp next to the Sugar Creek! We invite you to experience the finest on Sugar Creek. 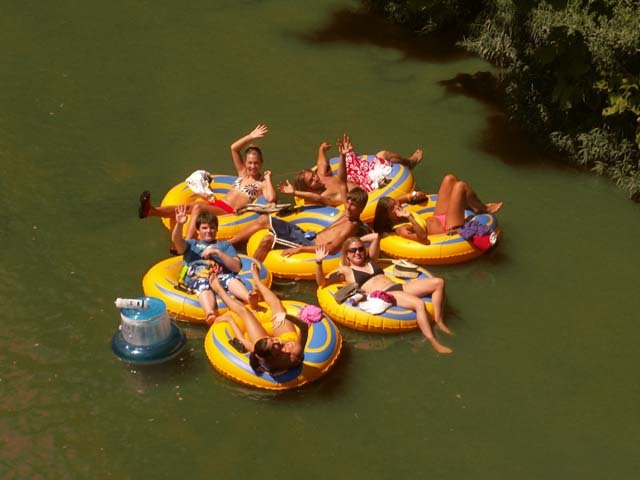 Offering the best in outdoor rectreation and overnight accommodations for 59 years, we pledge to continue our tradition of providing the best service, facilities and equipment to insure a fun and memorable adventure. At CCOC we provide a quality experience, because we want you to be our customer for life! 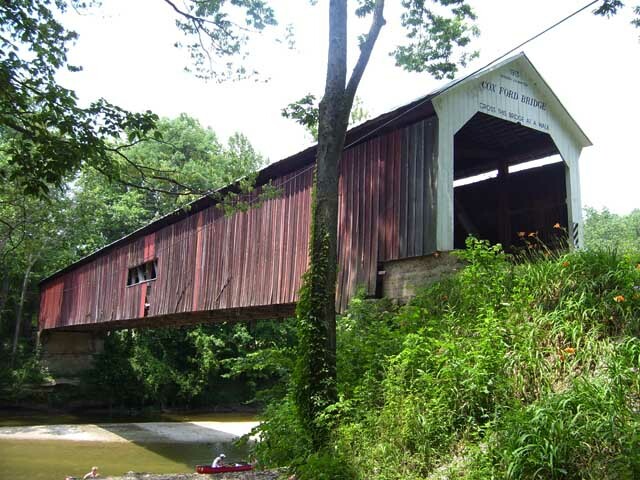 Experience the natural beauty and inspiration of historic Sugar Creek on one of our many outdoor recreation activities. 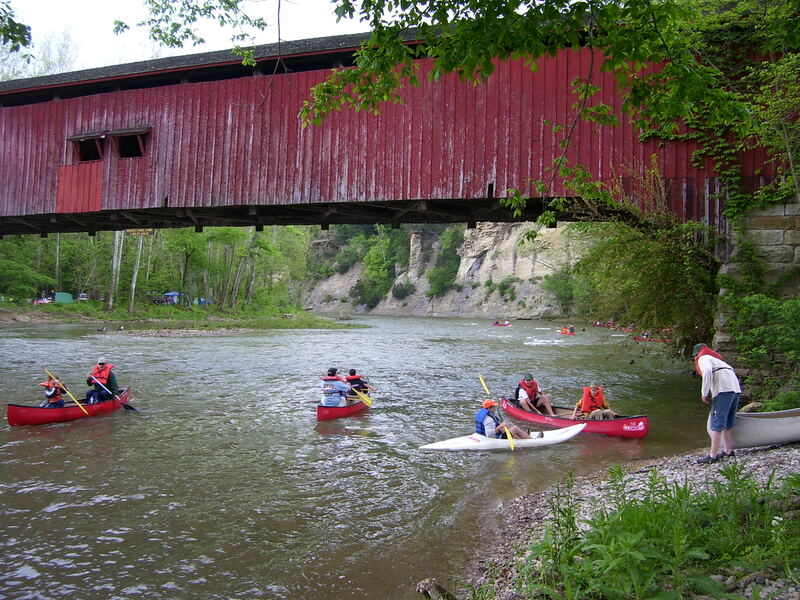 Whether you seek the excitement of a whitewater canoe trip; a scenic canoe trip complete with the beauty of bluffs and covered bridges; an adventurous two-day overnight canoe trip with primitive tent camping or cabin rental; a leisurely half-day canoe trip with time to fish, picnic and play; a solo kayak trip; or a lazy day tubing, we have an adventure designed just for you, your family or business. Groups of all sizes welcome! From our Deer's Mill Livery, enjoy our air conditioned restroom and shower facility, large covered deck, and store featuring canoe accessories, tackle, fishing licenses, ice, firewood, food, beverages and souvenirs! Deer's Mill Livery is open seven days a week April 21 through mid October (water and weather permitting). Children Love to Experience Nature! 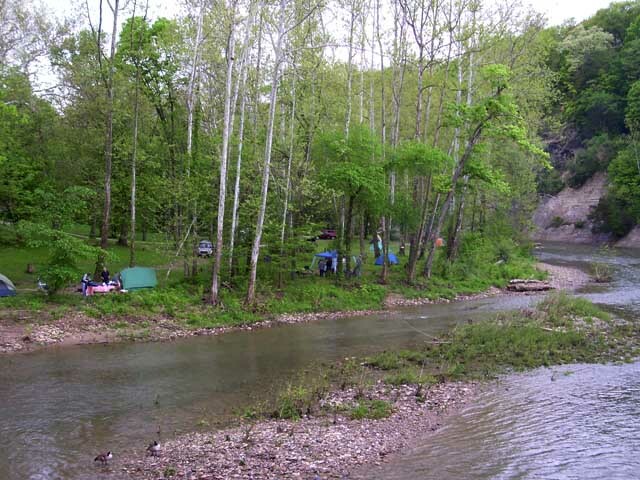 Enjoy primitive tent camping on the banks of beautiful Sugar Creek at the Canyon. 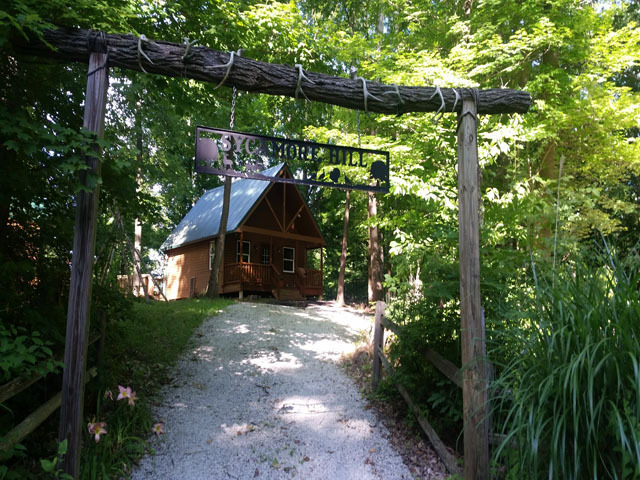 Located across the creek from the Deer's Mill Livery, the primitive tent campsites sit on ten wooded acres facing a spectacular rock bluff that towers 150 feet above Sugar Creek. 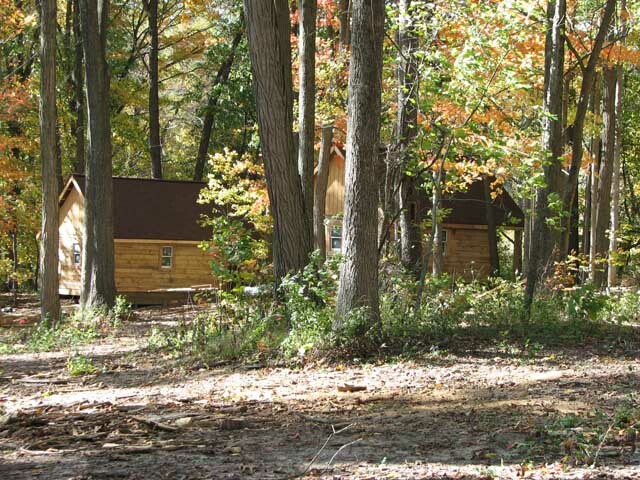 Camp sites for all sizes of groups are available with amenities that include picnic tables, fire-rings, air conditioned modern restrooms with showers and a camp store featuring grocery items, ice, firewood, fishing licenses, camp supplies and souvenirs. Open seven days a week April 21 through October (weather permitting). October is on a reservation basis only. Not into roughing it in a tent? Try a cabin instead! With three styles to choose from, Clements Canoes Outdoor Center is sure to have a cabin that fits your lifestyle and budget. 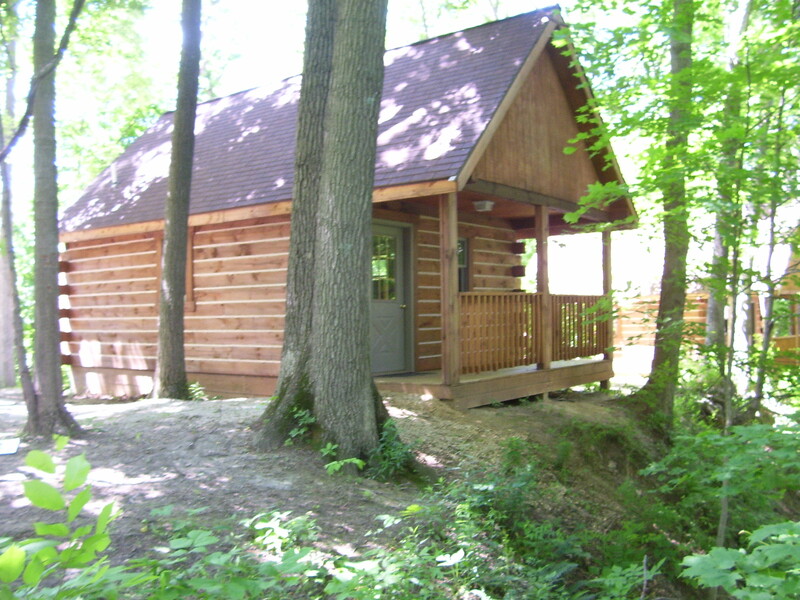 Choose from the rustic camp cabins in the Canyon campground, the log camp cabins located on the ridge above the Deer's Mill Livery or Sycomore Hill Cabin and bunk house located 1 mile away in the woods.. Available seven days a week April 21 through October (weather permitting). The staff is very friendly and knowledgesable. They helped our family have the best vacation. 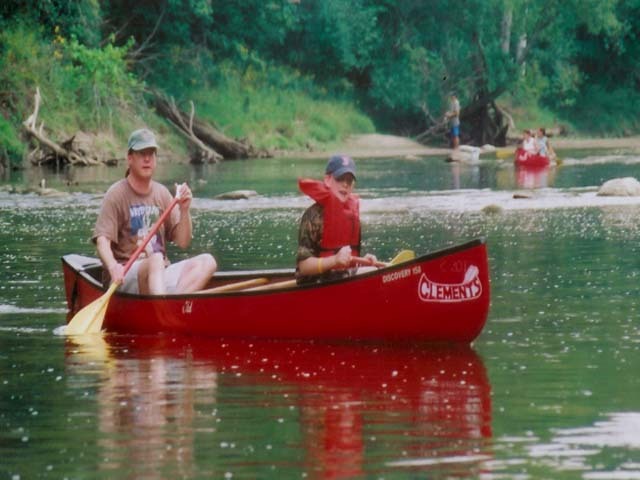 My family has been regularly canoeing and camping at Clements Canoes for over 30 years. It's a safe environment for the kids, and a relaxing environment for the adults. I also have a group of friends who get together for a girls weekend away. We stay at the canyon cabins. 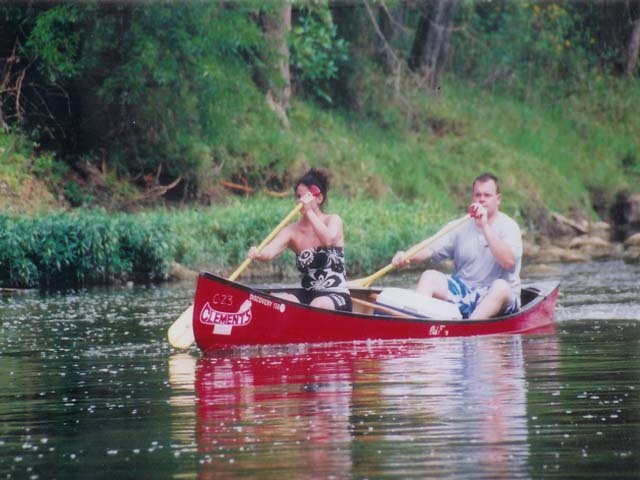 Our favorite canoe trip is being bussed up to Jim Davis Bridge and canoeing down to Deers Mill. The water is just the right level and we can take our time to stop and explore all we want. It's also very convenient to be "home" when we get off the water....no driving necessary...just walk across the bridge to the campground! Jason and his staff keep the place running smoothly. They've even helped us out a time or two when keys were locked in a car or when the battery needed a jump. I love this place! I have been using Clements Canoes since my college days...40yrs. I love my anunual reuion with my fraternity brothers and my outtings with my daughter each year. If you are using someone different, I would really recommend you give Clements a try! I think you would never go anywhere else! There's no better place to take my family, we look forward to it each year!